Southern New England Electrical Testing (SNEET) is an independent third-party NETA Company. As third party acceptance testing auditors, we provide unbiased electrical testing results while ensuring accurate testing and reporting. We’re never influenced by conflicting factors involved with budgeting, installation, or product manufacturing. SNEET provides an objective assessment of electrical equipment prior to plant startup. Early equipment failures can be traced to design, installation or startup errors. Unnecessary outages can occur due to improper coordination and calibration of protective devices, wiring and design errors. Our technicians are trained on equipment from many manufacturers and can evaluate tests objectively for electrical and mechanical problems as well as installation errors. Once the equipment leaves the manufacturer’s facility it can be subjected to vibration, potential breakage, moisture and rough handling which can damage precision equipment. Acceptance tests are not manufacturer’s factory tests. They comprise those tests necessary to determine that the electrical equipment has been selected in accordance with the engineer’s requirements, installed in accordance with applicable codes and installation standards, and perform in accordance with their design and setting parameters. 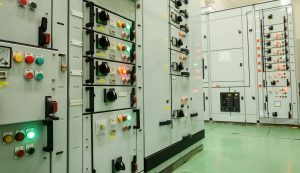 The ANSI/NETA Standard for Acceptance Testing Specifications for Electrical Power Equipment and Systems assists designers, specifiers, architects, and users of electrical equipment and systems in specifying required tests on newly-installed power systems and apparatus, before energizing, to ensure that the installation and equipment comply with specifications and intended use as well as with regulatory and safety requirements. When a NETA company performs acceptance testing, you receive a thorough, objective assessment to prevent latent problems and establish the reference information required for a successful, on-going maintenance program.